Back pain is not just something you occasionally hear of as a rare condition, it is something we have accepted as a part of our life: your mother has it, your uncle, your neighbour, your workmate... it is an epidemic of the modern lifestyle. Do we really have to live with it? The answer is no. Chiropractic is proven again and again to be the best and safest solution for back pain. Your first appointment with one of our Cork chiropractors is only €10 and takes approximately 40-50 minutes. Your medical history will be taken and a full physical examination will be performed. Further tests or diagnostic imaging may be necessary to determine if treatment is appropriate for your back pain. If you find chiropractic care suitable and wish to continue, your treatment plan will be prepared. Normally, the plan involves one or more "manual adjustments" in which the chiropractor manipulates your vertebral column using a controlled, sudden force to improve range and quality of motion. Your chiropractor may also recommend exercise plans, physiotherapy, massage, nutritional advice and other therapeutic procedures into the treatment plan: the goals of chiropractic care include the complete restoration of physical function and the prevention of injury in addition to back pain relief! Mobilisation - Chiropractic mobilisation refers to low-velocity manipulation, movement and stretching of the muscles and joints, with the goal of increasing the range of motion within those areas. Our chiropractors have many years of clinical experience in providing safe, gentle and effective care, suitable for patients of all ages; they are all trained to the highest standards and are fully-qualified members of the Chiropractic Association of Ireland. Please use the contact form below to request an appointment, or to ask us any question about chiropractic care - we'll be happy to help. Stressful lifestyle, sports injuries, poor posture, overwork can all cause the spine to malfunction. A back muscle strain or ligament strain is one of the most common causes of acute lower back pain. Lifting a heavy object, twisting, or a sudden movement can cause muscles or ligaments to stretch or develop microscopic tears. Overuse injuries are a very common source of lower back pain and stiffness. Stress can make the muscles tighter, pulling on the spine and reducing movement. Abnormal spine movement can go unnoticed, but there is a general decline in health: less energy, minor aches and pains, stiffness, painful periods, headaches, poor immune system leading to more colds etc. 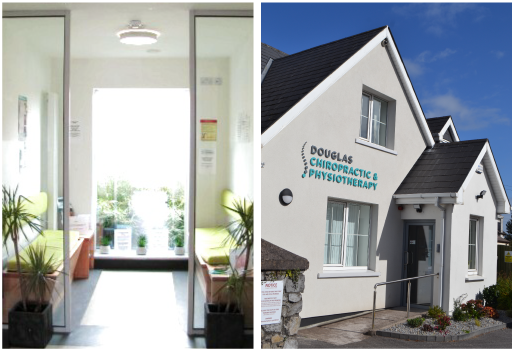 If you would like to find out more about what we do at the Douglas Chiropractic and Physiotherapy Clinic and how we could help you get to the root cause of your back pain symptoms, please don't hesitate to contact us.